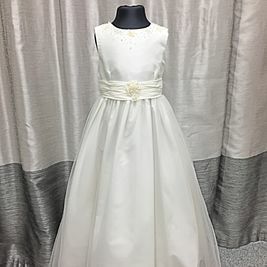 Here at All Things Bride & Beautiful we have a lovely selection of fluffy flowergirls and more grown up junior dresses that will make all your young ladies feel like princesses. 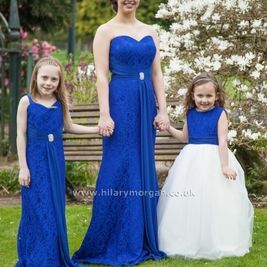 We have coordinating sets to cater for every age and made to measure dresses for individuality, with many different styles available that can be trimmed up in any colour to tie in with your theme. 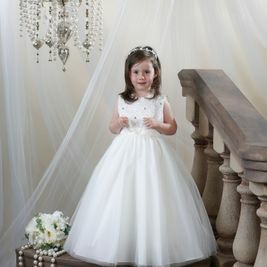 At All Things Bride & Beautiful, we have a wide selection of flower girl dresses. 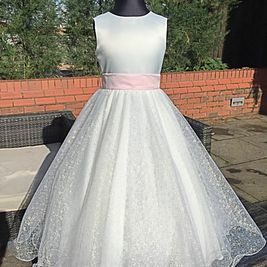 This includes our own brand, the Church Mouse collection, which is made in our shop. 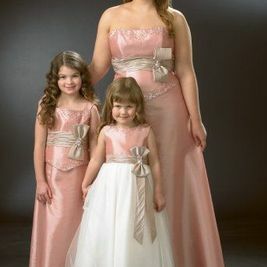 These dresses have many pretty styles, patterns, and colours, while they can be made to measure for each individual. 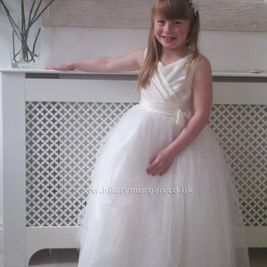 Our flower girl dresses can be tailored for girls from 1 year old up to 14 years old. 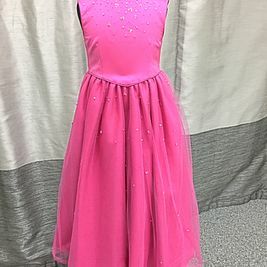 The selection of children’s dresses we stock covers many of the same designers as our adult range. 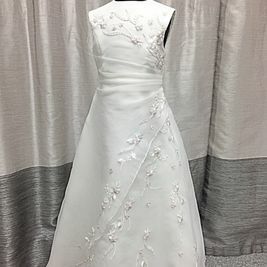 This includes D’Zage, Veromia, Hilary Morgan and our own brand, the Church Mouse collection. 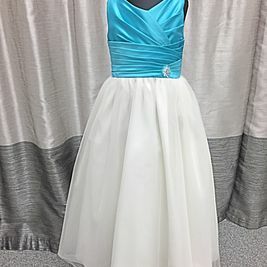 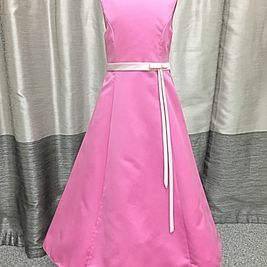 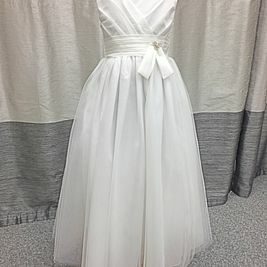 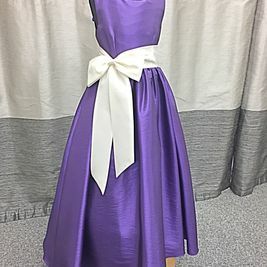 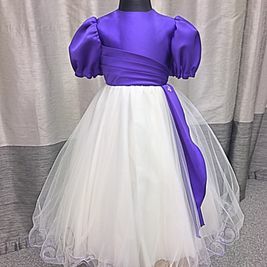 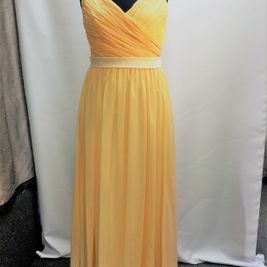 Not only does this give our customers a variety of dresses to choose from, but it also means that the young bridesmaid can wear matching dresses with the adults. 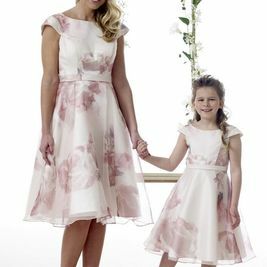 The flower girl and junior dresses go from age 1 and go up to age 16. 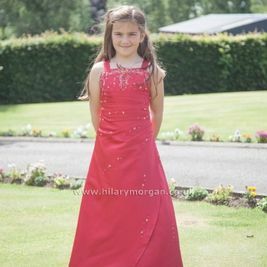 Our prices are very competitive, with these dresses starting from just £75. 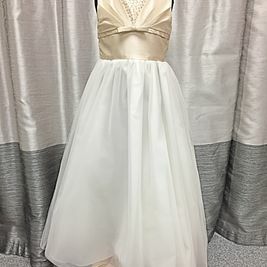 When you visit All Things Bride & Beautiful, you can expect to receive a relaxed and comfortable service. 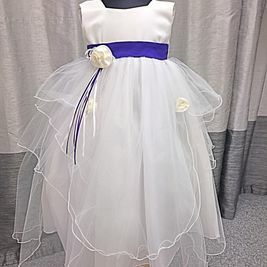 Our team are proficient in dealing with fittings for small children and know exactly how to make it an enjoyable experience. 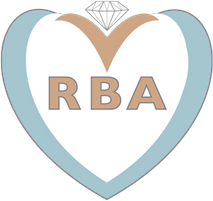 We understand just how important the big day is, and that strong communication is key. 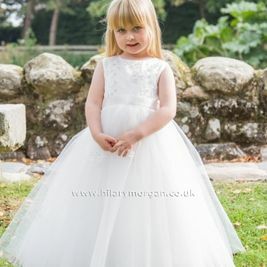 As such, we always keep our customers well informed of any timescale or details regarding their dresses.